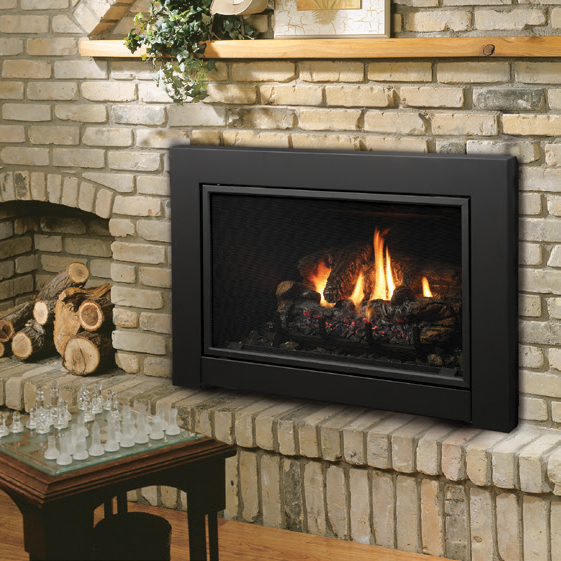 This fireplace insert is available in multiple configurations, including different fronts and surround assemblies, allowing different looks to be achieved. This Kingsman Flex Pipe Kit features a 3-inch and 4-inch diameter. 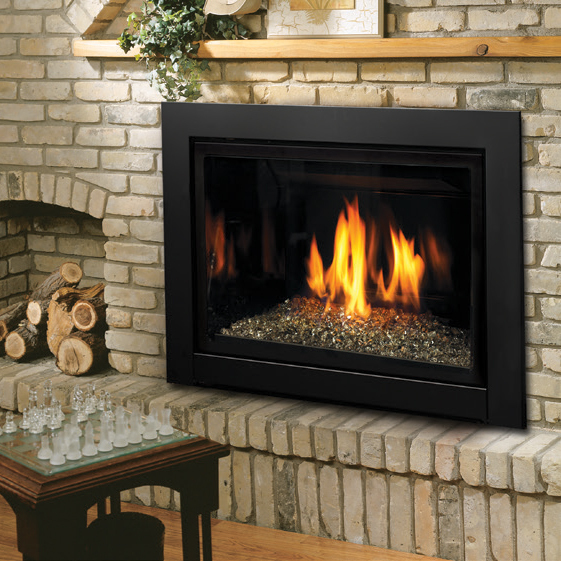 It is designed for IDV43 series fireplace inserts. This Kingsman Flex Pipe Kit comes with 25 feet of 3-inch and 4-inch liners. This flex pipe will allow the hot and cold air to flow through the two separate liners; one designed for air flow in to aid combustion, and the other to release heat and exhaust gases safely out. This item is constructed using lightweight, flexible, and trimmable aluminum. For complete and safe installation, you will need to use this flex pipe kit alongside IDVVT43 vent termination. 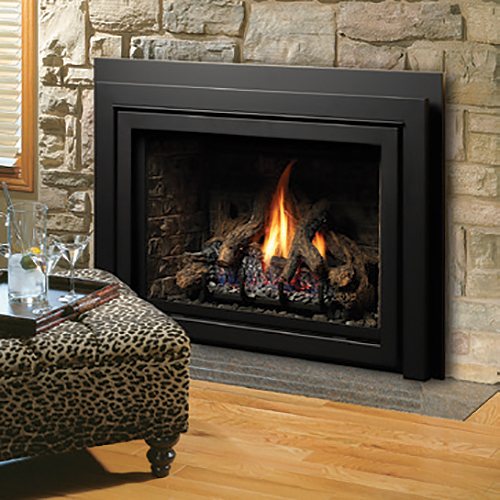 This Kingsman IDV43 Direct Vent Fireplace Insert with Blower features the IPI, intermittent pilot ignition system, which has fuel-saving benefits. This insert can adapt to recessed or non-recessed installation, use a detailed traditional split oak log set or more modern glass media set, and can pair with a full line of remotes or wall switches. This insert comes standard with dual burners to produce a fuller appearing fire, glowing embers to give a more lifelike appearance and a variable speed blower assembly. There are ceramic glass doors behind the included safety barrier screens, providing the best protection possible against accidental contact with the hot surfaces. Efficiency Rating is 62% with both Natural Gas and Liquid Propane. BTU Input Ratings: 34,250 NG / 30,000 LP. This unit is rated as a supplemental heating appliance. Couldn't be happier with our purchase! Beautiful insert, clean and classic lines. Very efficient. It warms our room quickly. It's the perfect addition to our house!